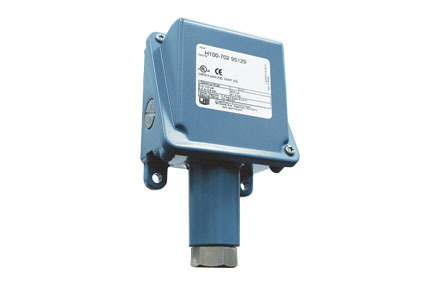 The United Electric (UE) 100 Series is a cost-effective pressure and temperature switch for process plants and OEM equipment. The rugged, one piece enclosure features a slanted cover for wiring accessibility. A wide variety of microswitch and process-connection options make this versatile series ideal for applications requiring a rugged weather-proof mechanical switch. Typical applications that utilise the UE 100 Series are heat tracing, freeze protection, processing equipment (pumps, compressors), inputs for annunciator panels, and fire suppression systems.